Mexico is a large country with many regions, most of which have distinct cultural characteristics due to the influence of various cultural forces. Before the arrival of Spaniards in the early 1500’s, numerous Indigenous cultures existed throughout Mexico for millennia. These societies were complex with widely diverse cultures. The arrival of the Spaniards introduced European culture. Therefore the mestizaje—the mixing of races—that resulted was dominated in large part by European influence. However, the strength of remaining Indigenous cultural characteristics, languages and religions created distinctly Mexican musical and dance styles. In years following, people from all over the world, including Africans, Asians and other Europeans, came to Mexico adding to the complexity of race and culture. As a result, each region in Mexico has its own food specialties, traditional dress, and unique music, dance and art forms. There are many regions of Mexico. Because of the depth of Los Cenzontles studies we have only studied a few of them. The following information is not meant to be comprehensive – but rather an introduction to Mexico’s rich cultures. 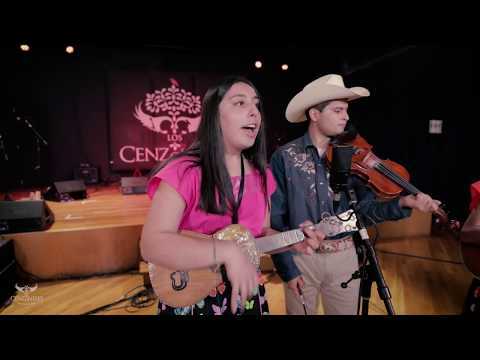 The cancion ranchera (also known simply as ranchera) is probably the most popular of all Mexican styles of music on both sides of the border. They exist in 4/4 rhythm. Rancheras can be sung solo or in group. In the past duets were very popular ways to sing rancheras. Because these songs are originally from rural areas their texts usually speak of rural imagery. Corridos are ballads that tell a story. Corridos can be interpreted by any variety of instrumentation. What distinguishes it from a cancion ranchera is the text. It will tell a story of tragedy or heroism. Pirekuas are lilting love songs sung in Spanish and Purepecha, the native language of the state of Michoacan. The Purepecha, a proud people with a strong ancient culture, claim to never have been conquered fully by either the Aztecs or the Spaniards. Pirekuas are alternating ¾, 6/8 rhythms. Polkas are 2/4 danced pieces that are generally instrumental. Valses (Waltzes) are ¾ rhythms. They were brought to Mexico in the 19th Century from Europe and can be performed in many instrumentations, although accordion conjuntos and mariachi versions are probably most popular. Of the many wonderful styles of music from Mexico, the son is unique. There are many varieties of the son throughout the regions. Each regional son has a distinct flavor and instrumentation. There are sones from Veracruz, Michoacan, Huasteca mountains, Jalisco, Chiapas and other regions. Many of the musical elements and movements imitate or reflect sounds and movements that are found in nature, reflecting the style’s rural origin. Dancers, instrumentalists and singers communicate through rhythmic patterns and gestures. Sones jarochos are African-influenced songs from southern Veracruz with syncopated rhythmic patterns. The most popular example of a son jarocho is La Bamba, a son danced by a couple. Sones jarochos are played on regional guitars called jaranas and guitarras de son, accompanied by hand percussion and percussive dance called zapateado. Sones abajeños of Southern Jalisco comes from the tradition of ‘lowland son’ from the cradle of the mariachi in Western Mexico. This is a local name for the dance and so it does not distinguish itself from other son styles in other Mexican lowland areas. Before the mariachi became an international symbol of Mexico, it was a small improvisatory ensemble. This pre-commercial mariachi was taught to Los Cenzontles by mariachi maestro Julian Gonzalez. The large size of the contemporary mariachi has changed the nature of the music toward a more orchestral sound. Los Cenzontles also dance Sones Abajenos from the Purepecha tradition of Michoacan. These have a feel that is different from the Son Abajeno of the mariachi, although they certainly share many characteristics. Danzas are reverential dances that are found throughout Mexico. The dancers are traditionally male and often organized in two rows of dancers. The music generally comprised of various instrumental movements and are clearly Baroque in origin. Although they have strong Indigenous roots, they are traditionally practiced by both Indigenous and Mestizo. In 2002 Maestro Julian Gonzalez taught Los Cenzontles the Danza de los Copetones from his region of Southern Jalisco. Note: There are many genres of traditional Mexican music including cancion ranchera, sones (of a variety of styles), valses, polkas and pirekuas among many others. There are also many different instrumentations throughout Mexico. Many people confuse the instrumentation with the genre. For example a cancion ranchera (country song) can be played by a banda—that has trumpets, trombones, clarinets, tuba and drums—and can be played by a mariachi group—with violins, trumpets, and folk guitars—as well as a conjunto norteno—that has accordion, bajo sexto, string bass and drums.